Daily chart shows that the lowest point occured on 24 July 2012 at 1.2041 and the recent peak was on 1 February 2013 at 1.3709. 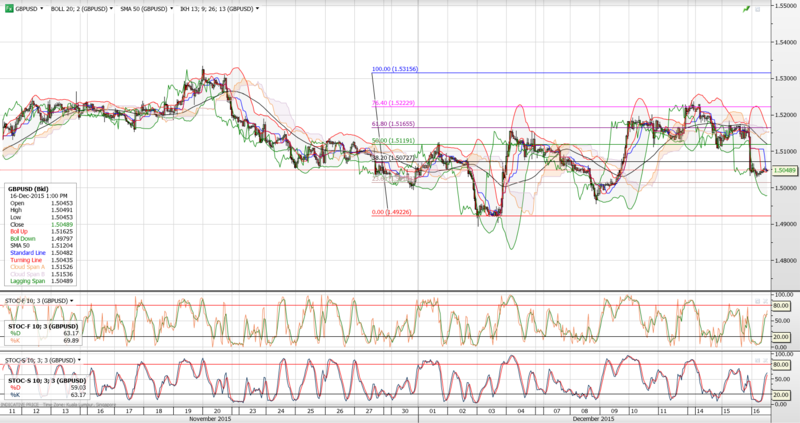 It appears that the Euro is basing or trying to find a base with a possible downside risk. However, downside risk is mitigated by a rising ichimoku cloud, though the spot rate is currently trading below the cloud. Trend is also near the bottom band of the bollinger bands. Hourly chart shows that there is an impending breakout based on the squeezing of the bollinger bands. Question is when it breaks out, is it going to break upwards or break downwards. This will depend on the upcoming economic data and the political scene in the Eurozone. The Cyprus fiasco is by no means the end of the story, the resolution was a stop gap measure to avoid a disaster. We executed a 1 month call option; strike at 1.3100, spot was 1.3004, breakeven at 1.3181, premium cost was 81bps.